Did you misplace your car keys or lock them inside the trunk? A locked trunk is actually a major problem that not all automotive locksmiths will be able to help you with. You will require the services of experienced automotive locksmiths that have the tools as well as the know-how necessary to unlock the trunk safely, without causing any irreparable damage to it or your vehicle. Cleveland Locksmith Services is a leading automotive locksmith in Cleveland, OH that provides a reliable and affordable trunk unlock service. Without the keys, trunks – especially those on modern cars – are very difficult to open. 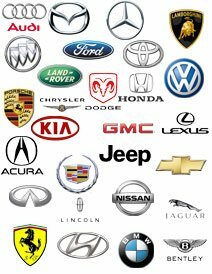 Most car manufacturers design them to be impregnable to keep out thieves and people with bad intentions. Without a key, it is impossible for a novice locksmith to get it open without causing damage to it. And breaking open a car trunk isn’t easy, either. Not only do you require cutting-edge tools, but the car alarm will be blaring the whole entire time. Thankfully, our handpicked professionals are capable of unlocking even modern car trunks. 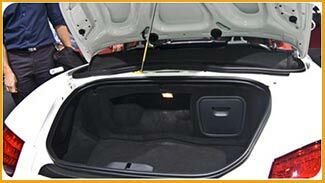 Our reliable technicians can get your trunk open in a short span of time. What can I do if my trunk is locked? If you’re wondering what you should do if your trunk is locked, the easiest solution is to call our locksmiths. Alternatively, you can get replacement keys made from your car dealer – which is an expensive option. Our trunk unlock service is your best bet if you want to save time, money, and avoid a major headache. Our trunk unlock service causes absolutely no damage to your car. Getting into the boot of your vehicle requires advanced tools, like a snake cam, which our locksmiths have. Instead of resorting to extreme measures like breaking through the car’s backseat to get to the trunk, just opt for our safe service. Our service is available 24 hours a day and 7 days a week. You receive roadside assistance in all areas of Cleveland and beyond. We charge a reasonable amount for the service, and we won’t charge extra if you require help at night. If you’ve lost your old keys, we can craft you new replacement keys. We can craft regular keys or, if your car is compatible, keys with remotes. Hire our effective, reliable trunk unlock service on 216-606-9011 !